Lily of St. Leonards Lily of St. Leonards: What have the Brits ever done for us? I've rarely read more inane BS than this. There is too much inaccuracies and blatant mistruths but two just seem to be from ignorance, not hatred. The world speaks English because America does. Not Britain. I'm sure a majority of Germans speak English but they didn't need to be ruled and subjugated for centuries to value it. What the English did in Ireland was often genocide, not just of people but of their ownership,their nationality, their culture, their religion and language. It persevered nonetheless. The other challenge is the idea of comparing plantation to the Irish emigration (you say Boston, like the Irish choose to move there rather than the forced starvation of the Irish that caused the mass exodus). In terms of emigration, there will always be emigration.the eu is built on that premise of free movement. We have a common travel area. Plantation forced the local population out of their own land, and set up a state religion. Their aim to subjugate Ireland and end catholicism. Show me how the Irish, with arms, invaded Britain and took 6 of the home counties of England by force and instituted all public offices be held by Catholics and protestants to pay tithe to the upkeep of the catholic churches. I'll wait... P.s. On a political point, Ireland accepts UK voted to leave but is concerned how that effects their national interest and the Good Friday Agreement. UK and Ireland were firm partners in the EU. Ireland is greatly saddened by the brexit vote P.P.S. Scotland decided to join the Union, it should be their decision to remain. GFA allows a border poll in which a majority north and south have to vote for unity for it to happen, so the republic will obviously have a say in it. Also just because Ireland gave up territorial claims on N.Ireland they beefed up the right's to Irish nationality for ANYONE born in the north, therefore creating a path for a united people which in my view is the definition of a country - not land but people. Was intrigued to hear Ian Paisley (Ian Óg, that is) urging his constituents to take out Irish passports. Thank goodness for a sane reaction. I thought this was a parody blog as the sweeping inaccuracies are laughable. The author of 'Finnegans Wake' was once asked, "Mr. Joyce, shouldn't there be an apostrophe in there somewhere?" He paused for a moment, and replied, "They do, you know." The title of that saga is always to be spelled 'Táin Bó Cuailnge', lest one commit the solecism of perpetrating false quantities. For anybody wishing to make themselves well-informed from scratch, a useful starting point would be Caerwyn Williams' 'The Irish Literary Tradition'. Anybody wishing to make pronouncements on the matters expounded in this piece would find the 'Cambridge Dictionary of Irish Biography' and 'Oxford Companion to Irish History' a sure means of preserving themselves from perpetrating such howl ers. Fine Gael (sometimes called 'the Blueshirts'), the party led by Dr. Varadkar, is descended from the pro-Treaty party which, with British support, crushed the anti-Treaty party in the Civil War. They would desperately like to join the Commonwealth, encourage the wearing of artificial poppies from mid-September onwards, arranged for British military traffic to be carried on lines rented from the Irish Post Office, and invited Kaiser Bill's young cousin over on a state visit. She was accorded a warm welcome at Croke Park, where her grandfather's men once whiled away a few hours by firing into the crowd of supporters. I could go on at very great length in this vein, but prefer to recommend to persons unfamiliar with Irish affairs to equip themselves with at least a little reliable information before delivering ex cathedra pronouncements Interreti et Orbi. Irish nationalists well and truly triggered. I'd say that was a job very well done. Their intellectual pretentions encouraged by the EU know no bounds. We should tell upstart Varadkar and his speccie number 2 to get stuffed. By the way, Effie will win the approval of many Unionists for her ascription to Cúchalainn of the rise of democracy, since the Hound of Ulster has become for many of them a quasi-iconic representation of their identity. For those seeking to inform themselves on the linguistic issues involved, Joshua Fishman and Louis-Jean Calvet provide useful introductions, accessible even to those with no understanding of the basic concepts and no acquaintance with elementary facts. One classic text is 'Languages in Contact' by the great Yiddish scholar Uriel Weinreich who, sadly, died far to young. It was his father, Professor Axel Weinreich, who coined the aphorism that a language is a dialect with an army and a navy. I can also recommend the books of Professor David Crystal, happily still with us and writing prolifically at the sort of age that nowadays no longer guarantees respectability. The most useful account in English that I have read of the near-destruction of the Irish language is Seán de Fréine's "The Great Silence'. Dispassionate, and including comparisons with other language shift, it reaches conclusions which some (not only Effie!) may find surprising. The various forms of Gaelic are in a degree of closeness not unlike that of the various forms of Scandinavian. This is especially so where the relevant locations are physically closer. Some years ago, a repertory company from Belfast did a tour of the Highlands and Islands. They found that, if they slowed their delivery a little, the dulcet tones of Ulster were intelligible enough to a cross-Channel audience. The piece going down best with Scots theatre-goers was 'Ag fanacht le Godot'. Estimates vary, but by the end of the eighteenth century the nmber of speakers across several Insular realms of the various forms of Gaelic was of the order of four or five million. Estimates I have seen for the Scandinavian languages spoken in lands then held by the Crown of Denmark or the Crown of Sweden tend to be slightly higher. Today, the Scandinavian languages are spoken by upwards of twenty million people. Extrapolating from this, it would not have been unreasonable to have expected the number of Gaelic-speakers by now to have been of the order of fifteen million. Let us consider the case of a small Northern European nation, incorporated (after a brief military episode) in the early nineteenth century into Union with a neighbour more than twice its size. The population is dirt-poor, heavily dependent on a few particular crops, and about to enter a long-term emigration crisis. The Union will persist into the following century. By the time Norway regained its independence in 1905, it had more than doubled its population and owned one of the largest merchant fleets in the world. 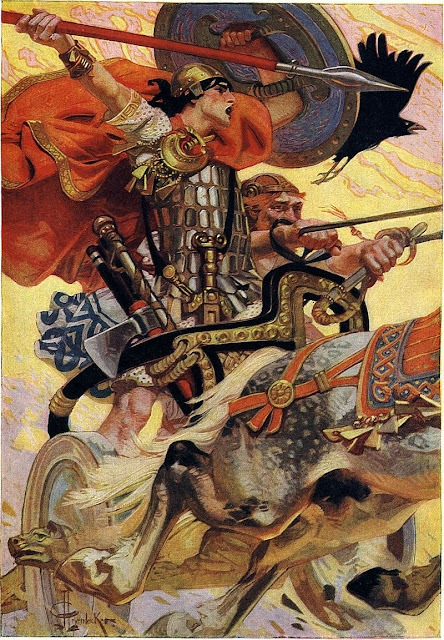 Perhaps the best move for an Irish time traveller would be to go back to 1014 and make sure that Brian Ború loses the Battle of Clontarf. But here's the thing. Most Irish people don't view the British with hostility. Back in 1998 voters in the Republic agreed that Northern Ireland could only join the Republic by consent. I'm not quite sure what you have been trying to prove over the last few days with pictures of the tiny fringe group 'eirigi' or potatoes. 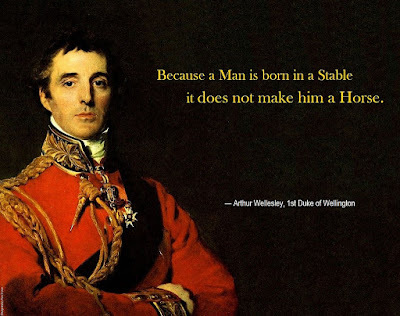 PS - the comment about horses, stables and the Duke of Wellington was made by Daniel O'Connell, not the Iron Duke himself. Given General Wellesley's conduct on several key historical occasions, no civilized country would want to be associated with him. His calling his horse 'Copenhagen' could only have been matched for tastelessness if Reichsmarschall Goering had called his horse 'Coventry'. whatever form that may take. To the student of history, this is all of a piece with the ineptitude that HMG has displayed far too often. Ireland belongs with the rest of the Archipelago known as the Bony Bunch of Roses, A.K.A. The British Isles. An Ireland that pretends it isn't part of the archipelago makes as much sense as Kyushu deciding it doesn't want to be part of Japan.The sectarian and racist rationale for Irish Independence is hopelessly outdated - the old Gaelic Catholic codology. I know it is terribly naughty to point it out, But the picture presented of the poor Innocent maid Hibernia being ravaged by the beast to the East is also more than a little inaccurate. For a long time it was Ireland that aggressively preyed upon the other Islands, not only slaving but colonising Scotland, Cornwall and both North and South Wales. That , together with various Irish attempts to interfere in English dynastic politics, is why GB has been wary of Ireland - because it has historically threatened the rest of the group. I *do* like the idea of a Bony Bunch of Roses - to be carried by the Bride of Frankenstein, perhaps? Oh Lordy, Crumbs spreading his weird Brit ultra-nat poison beyond P.ie to bizarre anti-Irish blogs. Utter lunacy, much like the article above. The British far-right really are like bunny boilers, still butthurt after being scorned by a colonised people who were oppressed for 800 years. Is it any wonder we still can't stand many of you. Puzzled by your moniker: Irish friends tell me it means 'Worm'. This, Anonymous, has been my observation as well. What I have heard Irish people say is that having such a huge neighbour can be like sharing a bed with an elephant. Their anxiety must be all the greater now that the elephant seems to be experiencing something of a pachydermic nervous breakdown. Shush now, you're not allowed to say that about our former benevolent colonial masters or you'll be branded a racist Britophobe or something. Almost all the colonial masters have now past on. The nations living in Britain are made up of people the overwhelming majority of whom are glad to have the Irish as our neighbours. I grovel: please read that as 'passed on'. Sums it all up with prescient clarity. Let us draw the proverbial line, and move on. We attend Effie's next discourse with impatience. On the face of things, this degree of inaccuracy, perpetrated by an administrator at a provincial university, would not be of any great public concern. However, since it is also painfully manifest at the highest levels of the Tory Party and the British Government, I fear greatly for the consequences.